The first commercial project of renewable hydrogen production in Spain, was born as a solution for the conditions of pollution in the country, where waste from human activity and industrial or biological processes have raised the levels of pollution to become harmful for people and environment. Besides, it arose due to the development of hydrogen technology and fuel cells in general, and its development applied to urban mobility in particular. VITALE means vitality in Latin. It is the name chosen for the development, construction and operation of the first hydrogen production plant. The high purity and renewable hydrogen is obtained from the breaking down of water molecules (H2O), which brings a new concept in the decarbonisation of our way of life in Spain. Production capacity: 1,9 millions of Nm3/year H2 and 850,000 Nm2/O2 high purity, 99,999%. They will be implemented by the increasing demand and needs of improvement in the air and noise in the city. The message “VITALE” aims to sensitize the energy sector, using hydrogen as an energy vector. The hydrogen produced is used as fuel for the mobility sector. 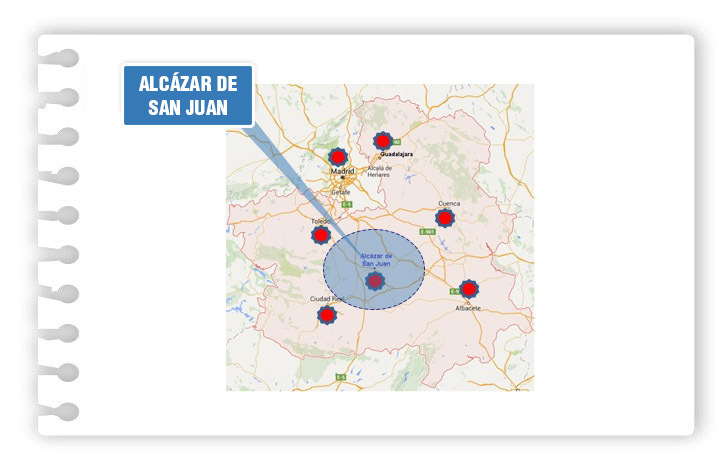 It is planned to be distributed in Alcázar de San Juan, Toledo, Madrid, Ciudad Real, Albacete, Cuenca and Guadalajara. Its use results in the direct reduction of pollution and noise levels in the city, what improves quality in the health of its inhabitants. Execution of basic engineering, economic and technical studies, application of permits and authorizations for the construction of the project. Runtime: 6 months. Construction runtime: 12 months. Operation during 30 years. 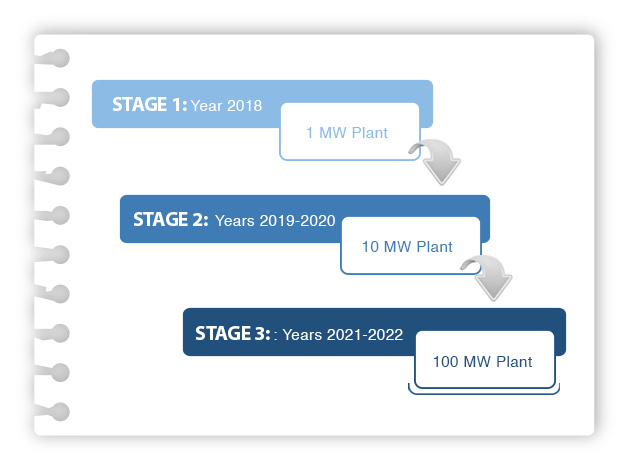 The expected date of commissioning would be within the first four-month period of 2018.